New research has revealed that 59% of children are unable to identify a vegetable peeler, meaning it is clear that a few changes are badly needed in the home kitchen. Two thirds of children surveyed describe cooking with their parents as something they love doing, with one in four saying it’s ‘the most fun thing to do at home’. 86% of parents enjoy spending time cooking with their children, yet one in three cook with their kids just once or twice a month, or less. Uncle Ben’s children’s initiative, Ben’s Beginners, has been established to work towards the goal of ensuring that kids are more involved in the kitchen and cooking with their parents, which has myriad benefits from an educational perspective and beyond. Dedicated to ensuring that children are nurtured to develop a lifelong relationship with homemade wholesome food, online cooking courses are being offered for free, designed by TV’s Louise Lennox and Aisling Larkin. Aisling holds a degree in education from Trinity College as well as a Masters in food product development and innovation, with a research focus on healthy eating promotion. Louise, a chef and popular personality on our screens, developed a passion for working with children through the medium of food over the years and loves to nurture a knowledge and appreciation for cooking in kids. 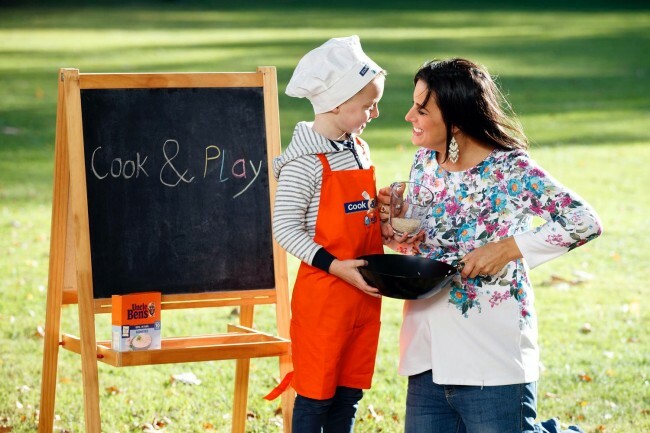 Aisling and Louise met at Aisling’s Academy for Junior Chefs in Kildare and their shared passion for spreading awareness of the importance of getting children into the kitchen and gaining hands on experience cooking with their parents led them to develop the Cook & Play course for Ben’s Beginners. Developing recipes guaranteed to work for each and every child over a varying spectrum of skill level and involvement was paramount, “hours have thought went into each recipe, how it works, how it works to maximise the child’s involvement”, says Louise. The recipes are designed to take the guess work out of how to approach cooking with your child, breaking each and every step down to child-friendly simplicity. Aisling explains that each video has key techniques to learn, broken down in an easy to follow manner designed to get kids involved and concentrating on engaging with their new skills. The course is divided into age categories of 3-6, 7-9 and 10+ so age appropriate skills are learned based on the dexterity and cognitive ability of each category. Naturally there is great emphasis placed on ensuring that children eat more vegetables and learn to follow a healthy, balanced diet, and this is where Louise’s creative cooking expertise kicks in. Her ‘Creamless Creamy Vegetable Soup‘ blends rice to achieve a smooth, velvety finish without bucketloads of cream, as well as including four different vegetables so you know your kids are creating a nutritious bowl of goodness which they will be dying to taste having made it themselves. Aisling confirms that “the mouth feel of different foods is very important to children, at younger ages they hate lumps and crave creamy textures”, which shows just how much thought has gone into designing the recipes on the course to appeal to children and introducing them to new vegetables and flavours. Letter-shaped croutons spelling out ‘soup’ further engages the child’s hunger to learn and keeps things exciting for them visually. There are hacks, skills, fun interactive games and a rewards chart to print off to ensure that kids are fully entertained and engaged in the kitchen as they learn. “By the end of the course, the kids will have 12 new techniques learned and six new recipes for the whole family to make together”, Aisling says. The course is designed to get children of all ages involved and cooking with their parents, “there are no spectators!” Louise laughs. Importantly, each video is short enough for the attention span of children and you can pause and cook along as you please. The course recipes are inventive, presented in quirky and fun ways and are bound to broaden kids’ horizons ingredient wise. Think Powerball Falafel Wraps, baked and ideal for lunchboxes and Asian Pork Meatballs with coconut rice, which have cleverly hidden grated courgette added in to ensure kids are getting their greens with no groans. The recipes rely on store cupboard staples like rice and chickpeas, so the hassle is taken out for parents. “Once they see that they’ve eaten it and survived they are more likely to eat it again” says Louise of healthy ingredients like avocado which are incorporated into recipes to get kids tasting new things. Aisling recalls the look of amazement on parents’ faces when they see their children tucking into golden turmeric-spiced Nasi Goreng, prawns and all! Every last detail is considered, chillis have been replaced in this Thai recipe in favour of sriracha sauce as kids often touch their eyes or nose having touched the fiery seeds, getting a nasty surprise. 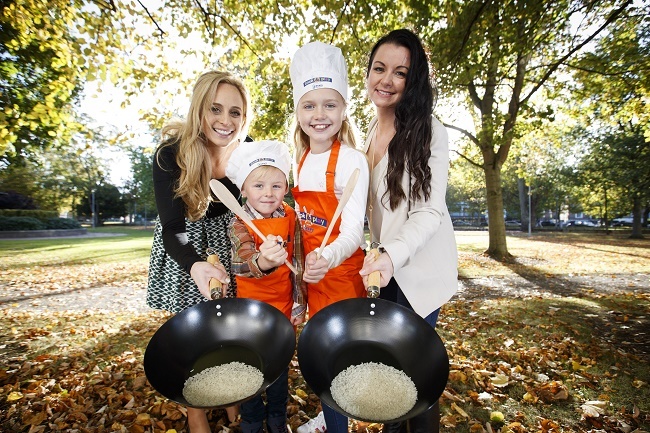 With Louise and Aisling’s recipes, you know your children are in safe hands. 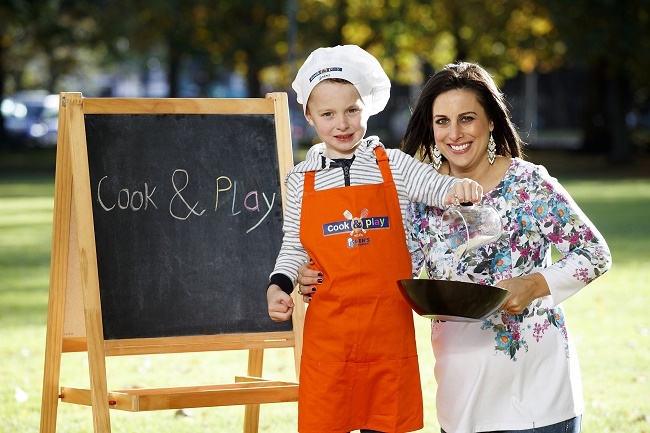 We’ve all seen Living with Lucy, but few know what it’s like cooking with TV’s Lucy Kennedy better than her gorgeous son Jack, 6, who jumps to his mum’s defence saying she can make gravy when she tells me she is ‘useless in the kitchen’. “For anyone who is thinking oh I’m not great in the kitchen – if I can do it you can too”, Lucy assures me. Having taken the online course with her two little ones, Lucy was amazed with just how beneficial the tutorials were for the whole family. As the course is run entirely online, it is perfectly suited to busy mums and dads’ schedules. It’s great craic, so easy to register and such a lovely thing to do with your kids at the weekend. I know people are so busy and I get that, I’m a working Mum, Monday to Friday is bonkers but on Saturday and Sunday, it takes half an hour and they love it. The whole process and seeing their little faces watching what you’re making come together and plating it up is fantastic. For more information or to register and get cooking visit www.bensbeginners.ie.